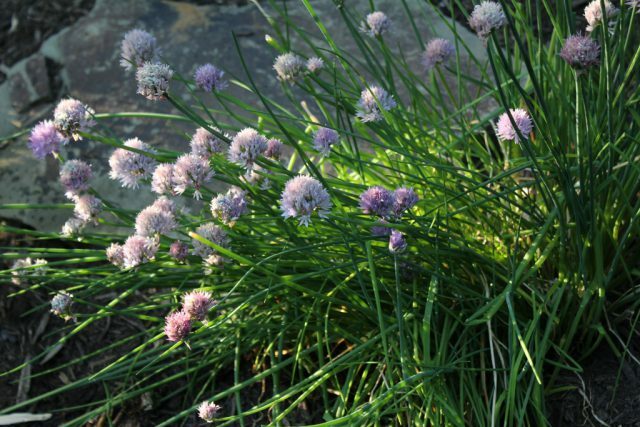 It’s a good time of year to talk about herbs. The earth is awaking, but in Meadville, Pennsylvania, we still have another month of winter. This is what I tell myself each year, that winter lasts through March – so that I’m not so upset when the snow keeps coming. I love all the things I grow, but I love my herb garden best of all. I could live there, petting and breathing. 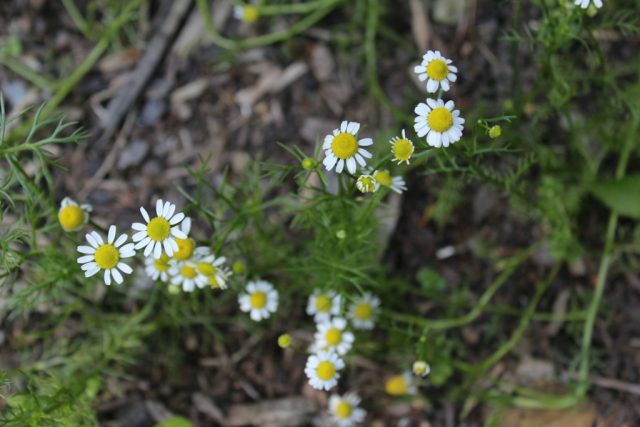 Here is a picture-list of the herbs I grow, with notes about what I’ve learned about them. This post is for gardeners, and those who are hungry for the sight of something green. I’ve had the hardest time growing basil, though it’s supposed to be so easy. I always start it indoors, but it doesn’t like being transplanted. 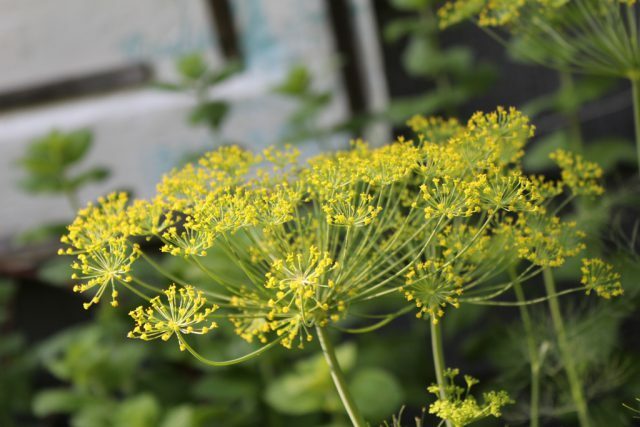 Last year I finally coaxed a mature outdoor plant along to the seed stage. 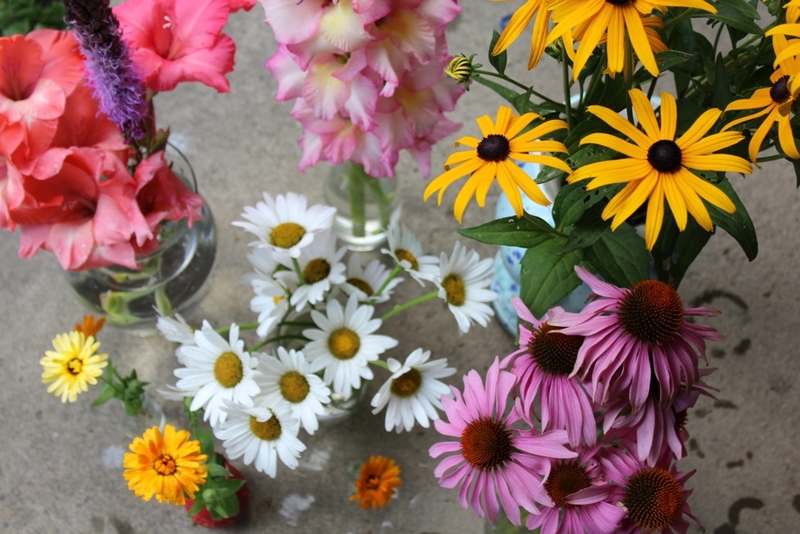 I shook some of its seeds into the soil last fall, and I saved more of them. I hope it will reseed and start again in the spring. 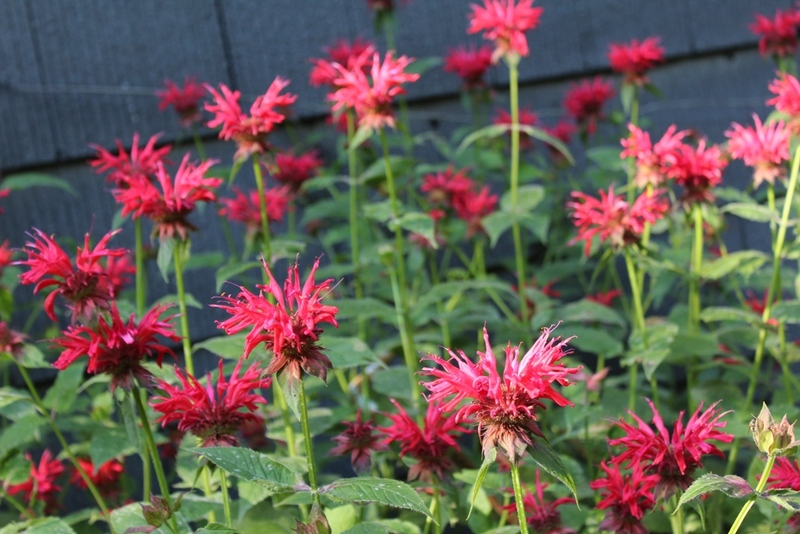 I haven’t found any practical uses for bee balm, but I love its showy red flowers. They look like roosters on stems. I’m not sure if the winter or the kitties killed this poor baby a year ago. I need to buy a new one in the spring. 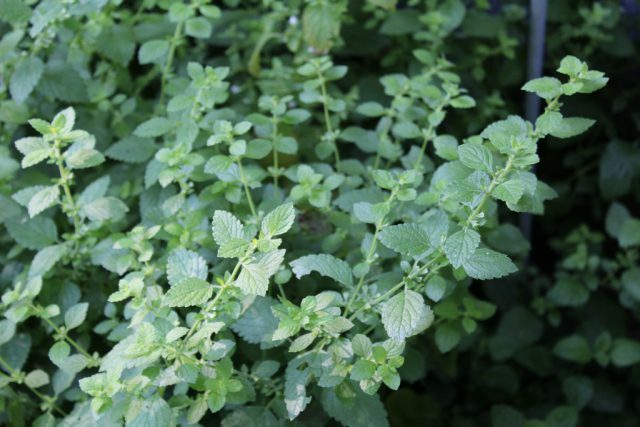 My cats LOVE this herb. 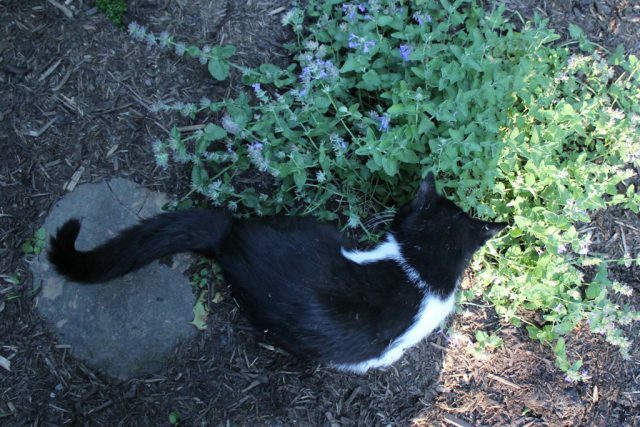 I once saw my cat rolling around in the mulch of the herb bed, sniffing and rubbing her face. I went over to look and found, where I’d thought the catmint already dead, a tiny one-inch shoot that she was rubbing into the ground. Silly kitty. 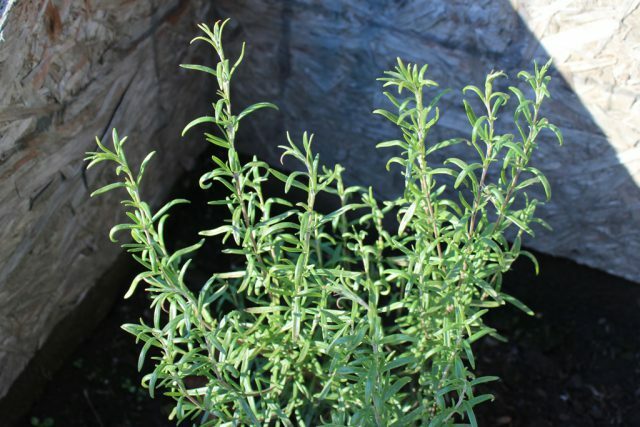 Such a dainty herb, like an old-fashioned girl in petticoats. I gave up on my chamomile returning last spring and bought another plant, but then, late in spring, I noticed the darlingest little fronds poking up around the old planting site. I guess they just needed more thyme. How do you keep cilantro from going to seed so fast? If you cut it all off, does that help? Mine always bolts. But once you have cilantro growing in your garden, you will have cilantro till you die. It self-seeds prodigiously. It’s also easy to save seeds to share with a friend. Here’s another herb that doesn’t like being transplanted. I almost gave up on growing dill, but finally a scattering of seeds in spring yielded tender plants that grew to maturity. Now that they’ve begun self-seeding in my garden, I hope I’m set forever. Plants just know when to drop their jewels, and when to start those new seeds sprouting in spring. They have a natural system I can’t replicate artificially. Also known as purple coneflower, this tall beauty spreads and brings me joy. It makes lovely, long-lasting cut flower arrangements (bottom right of photo). 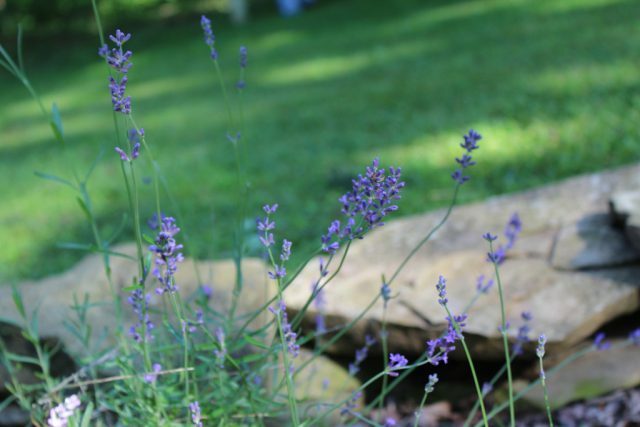 Lavender is my favorite scent of all my herbs. It makes lovely dried bundles to hang in your house. These plants have been slow to take off for me, but I grow both white and purple. Here’s a new one I tried last year. I like to chew the grass blades; they’re so lemony it’s startling. Tastes like a cross between parsley and celery, only stronger. Good for soup. 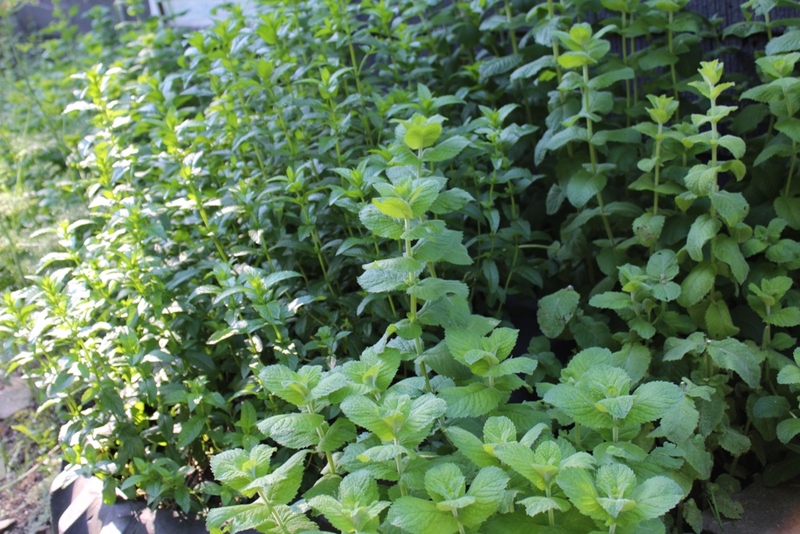 I grow spearmint and peppermint, and I like to mix them for iced tea. 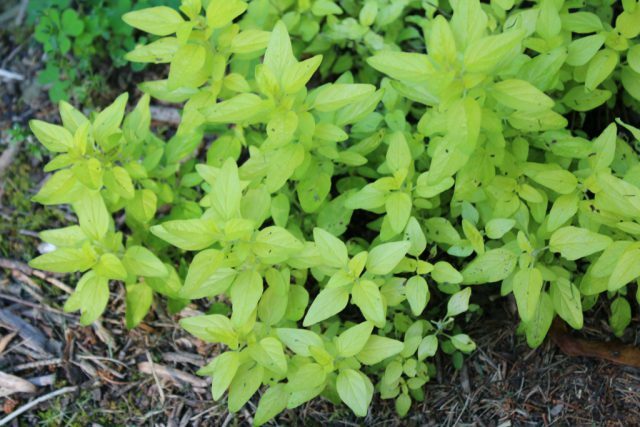 I have a good regular oregano that I like to use in cooking, and I also grow golden oregano, of the pretty yellow leaves. 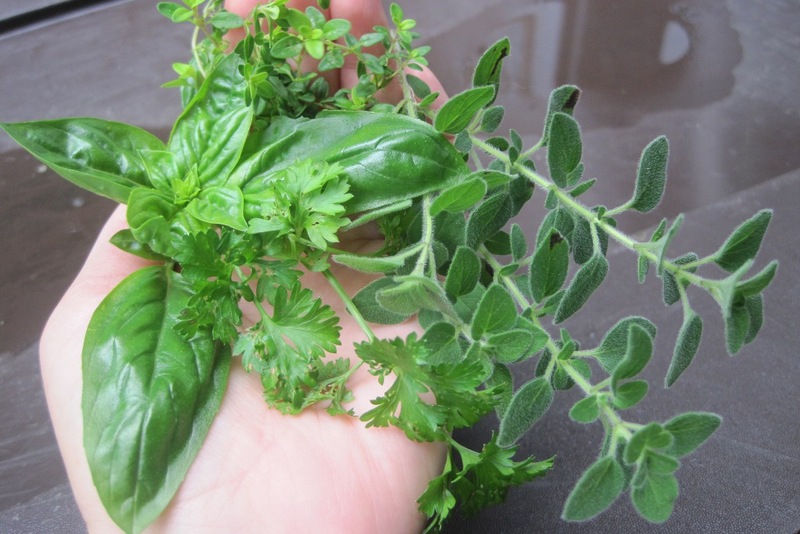 I’ve tried barbecue oregano too, but lost it (I mean really lost it – How does that happen? I forget where I planted it). 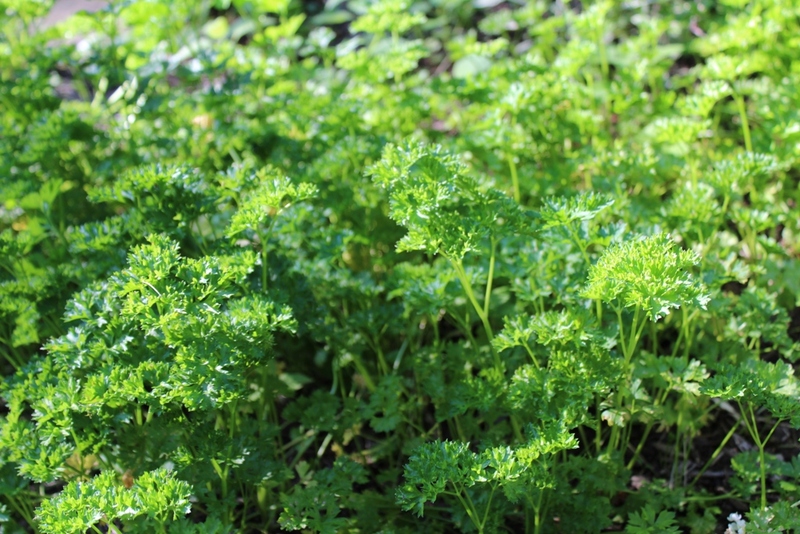 Parsley is another prolific producer. Biennial means that it will return a second year, but go straight to seed, to self-seed and start a whole crop of baby parsleys the next year. I keep alternating patches going, so that while one patch is going to seed, the other is in its year of peak production, and the next year the opposite. 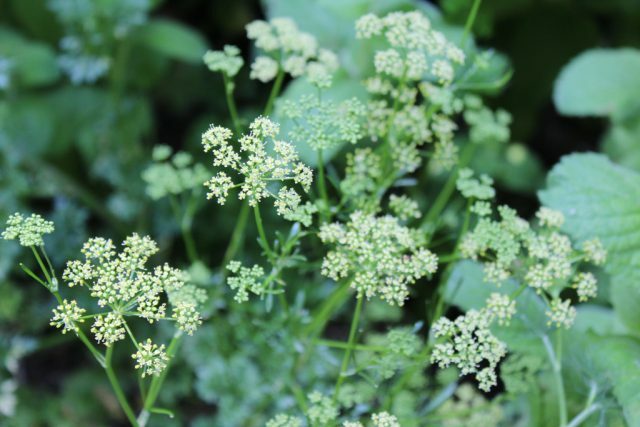 It looks like Queen Anne’s Lace when it goes to seed. I’m so delighted: this is the first year that I babied a rosemary plant through the winter! I’ve tried everything I could think of to insulate it from the weather, but our winters are hard here, and each year I’ve seen it die. In 2017, I planted it directly in my hot bed, keeping it open for the summer but covered by that mini-greenhouse all winter. It’s still green and growing now! I’m cherishing hope that by the time it outgrows the hotbed, it will have the hardiness of several years’ worth of roots and thick trunks to keep it alive. We’ll see! 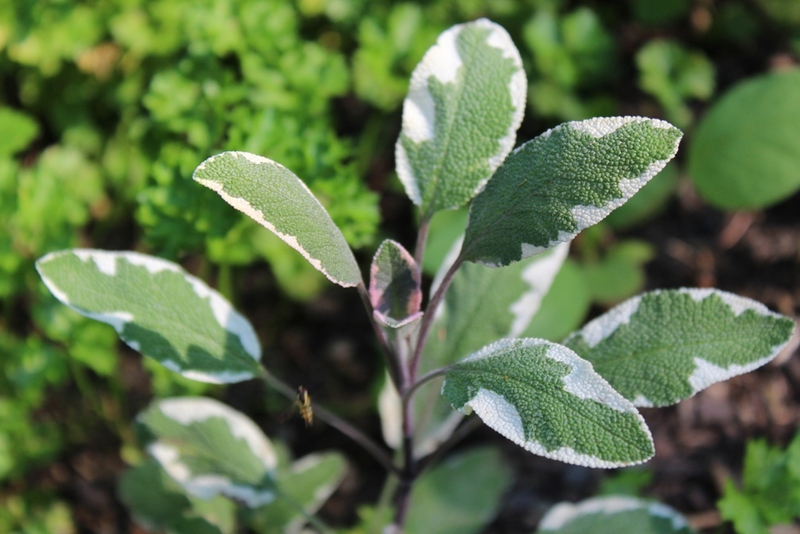 I grow Bethlehem sage (not really an herb, just pretty), regular sage, tricolor sage, and Russian sage. I tried pineapple sage once, and it grew so big and smelled so nice; but I was sorry to find out the next year (when it didn’t come back again: ding-dong bell!) that that variety is only an annual. Bummer. I saved seeds from it last year, and we’ll see if I can keep it going. My kiddos like to chew a shockingly sweet leaf. Here’s another tender one, hard to start. The seeds and first shoots are miniscule. But now it’s taken hold, and from what I hear, it may take over. 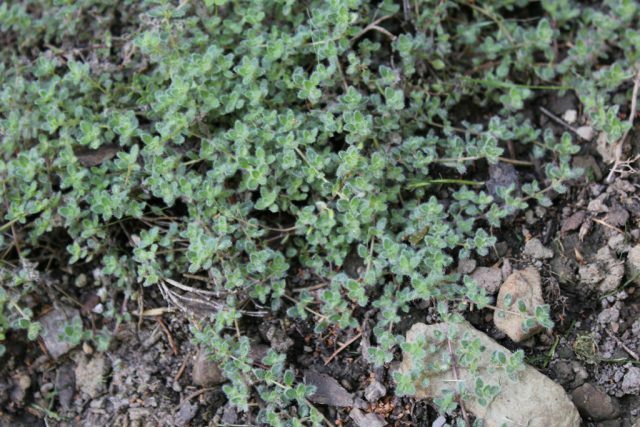 Mother of thyme from my aunt, lemon thyme (heavenly in recipes! ), and woolly thyme, which is low and furry – this is all the thyme I have. Oh dear! Now my heart longs for spring and that therapeutic earth-digging. 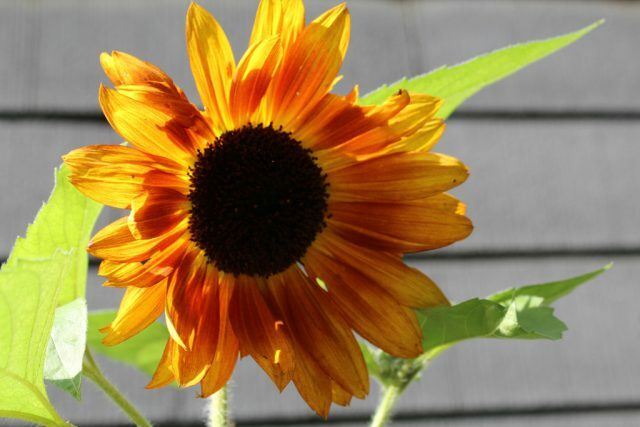 What do you love to grow most of all? Basil is a must! But I have best success spending an extra dollar or two and buying a pot to plant rather than starting my own from seed. Lavender – my dream. So far I haven’t gotten it right. Hopefully when we move to a less harsh climate, I can bask in its aromatic beauty. And what would life be without mint? Thankful it takes little effort, although mine was struck with a white fungus/mold last year – hopefully it’ll behave better this spring. I love the giant zinnias from the Dollar Tree. Can’t beat 4 packs of seed for $1. They make wonderful bouquets! But I have tried to save seed for the next year – no dice. I’m guessing they are some kind of hybrid. Try a hint of bee balm in herb tea. It is nice, and it’s supposed to help with coughs. I love your idea of letting parsley reseed! Now that we are planted, maybe I can try that! The things I like growing the best don’t require the hot, sticky hours in the kitchen after they’re harvested! I have an arbor I put in my garden every year, and like to experiment with various annual climbers. Hyacinth beans are a winner, and one year we had moon vine mixed with morning glories. Moon vine doesn’t usually do well here, but it was a good year for it. The fragrance is exquisite! What fun, thinking about herbs in March makes me feel hopeful. I also live in the North, where spring seems to evade us longer than I like. You mentioned several of my favorites (mint, rosemary) and also inspired me to try some new ones. I have been following your blog for some time. When I get an email notifying me of a new post, I smile. However, I am not a frequent commenter. 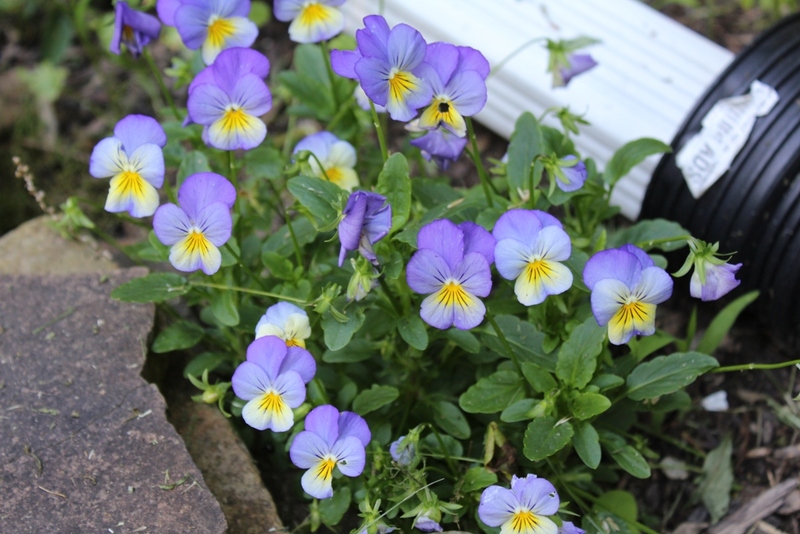 Ahhh springtime….. Is it almost here??? ? I too love digging in the earth and planting flowers and veggies!! I never did a lot with herbs except most common ones but our DD has taken quite an interest in them, so more kinds now grace my raised bed near the house. 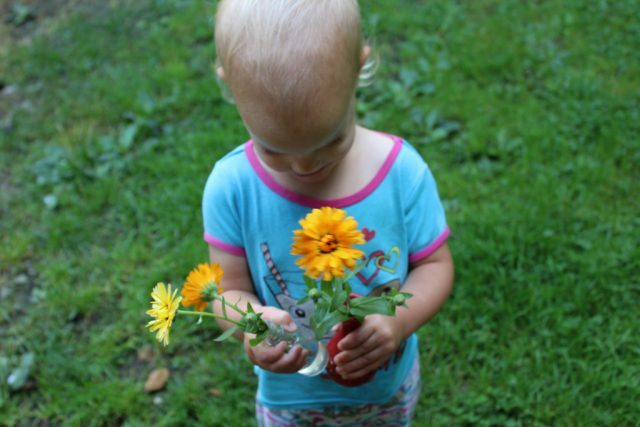 She will love reading your herb advice and there will most likely be additions to ours this year! 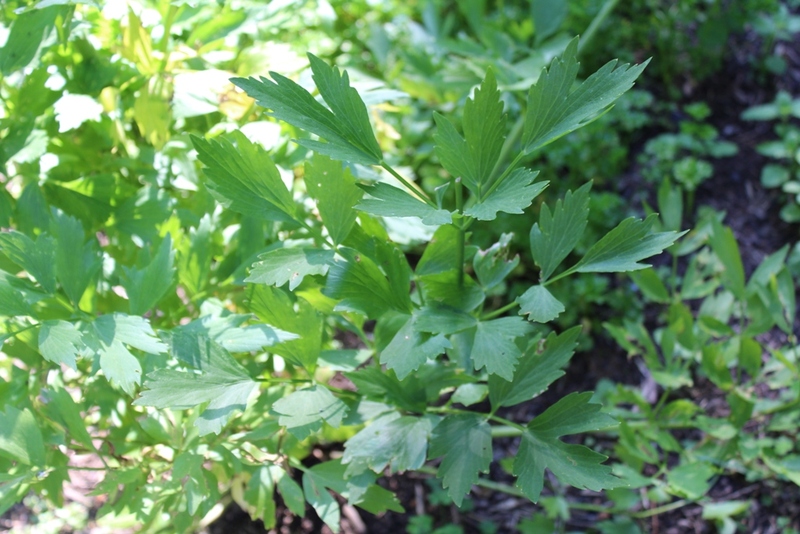 Cilantro is her favorite but it didn’t grow back after she cut it off last year. Lavender flourishes for us and almost takes over. Maybe I should share some with you!! ? And I too love your blog posts, both thought provoking and entertaining!! ? This isn’t about herbs, but I was reading archives while my baby nursed, and missing those little back and forth buttons. Is it just me, or did they vanish? That said, I am soaking in the glory of a green Virginia spring…or at least ready to be. I’m feeling that quivery, shivery tickle of inspiration running up and down my spine! 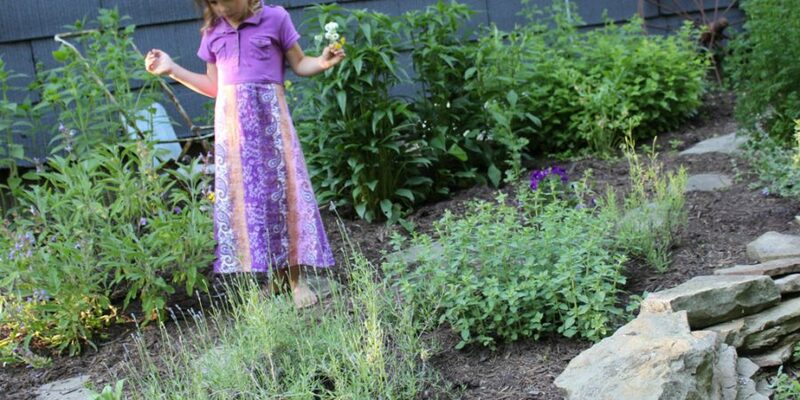 I dream of having a well established herb garden, but so far, we’ve moved around too much. Hopefully this year! Bravo on your collection of herbs! I echo the bee balm for tea, I haven’t made any myself, but acquired the plant because it is actually bergamot- the defining flavour of Earl Grey Tea. I love to grow all things green. Thank you for sharing your garden of herbs. It inspires me to grow more. A friend recently gave me a cup of Tulsi tea which I learned is Holy Basil. So many interesting things one could grow! 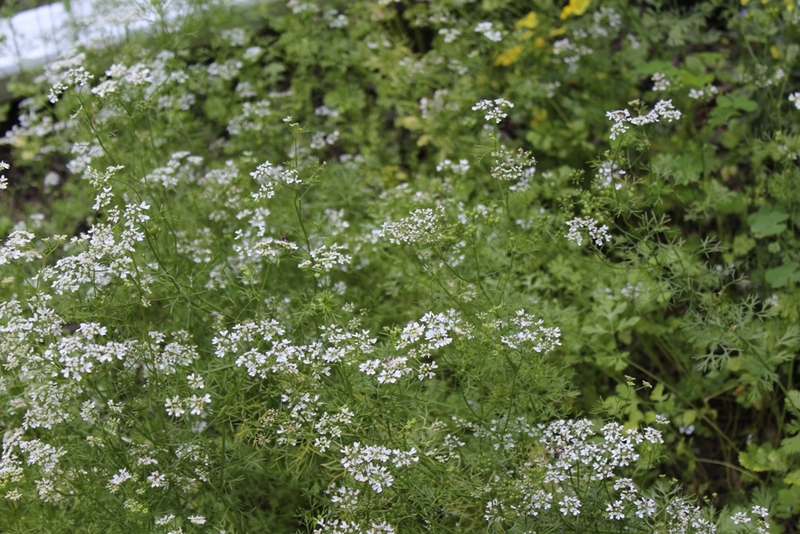 Love this herby post and a peek into your garden. 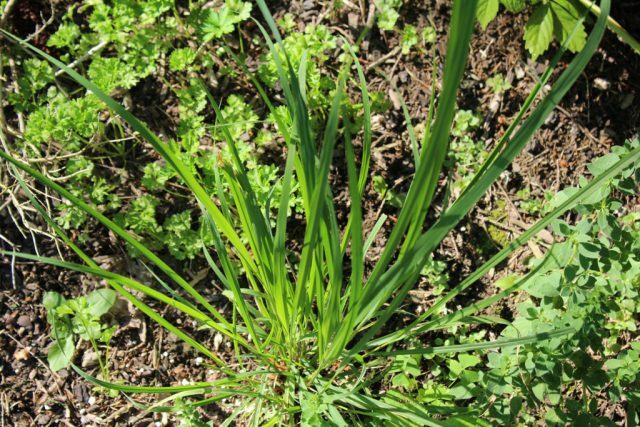 Lemongrass though perennial, doesn’t tolerate our cold Pennsylvania winters. does the Meadville snow perhaps insulate yours? One odd year our stevia overwintered and another odd year the pineapple sage survived. Basil doesn’t really mind transplanting if you plant them out when they are small. Basil absolutely hates cold though and anything under 50 degrees will make the small tender transplants very sad. Also they sunburn easy if they have been in a low light environment such as a windowsill and then suddenly moved to direct sunlight. When you transplant them out, cover them with a wash basket for a day or two till they get adjusted to their new home. Though our large patch of basil dropped plenty of seed, I only remember 1 or 2 volunteers one year out of 10. 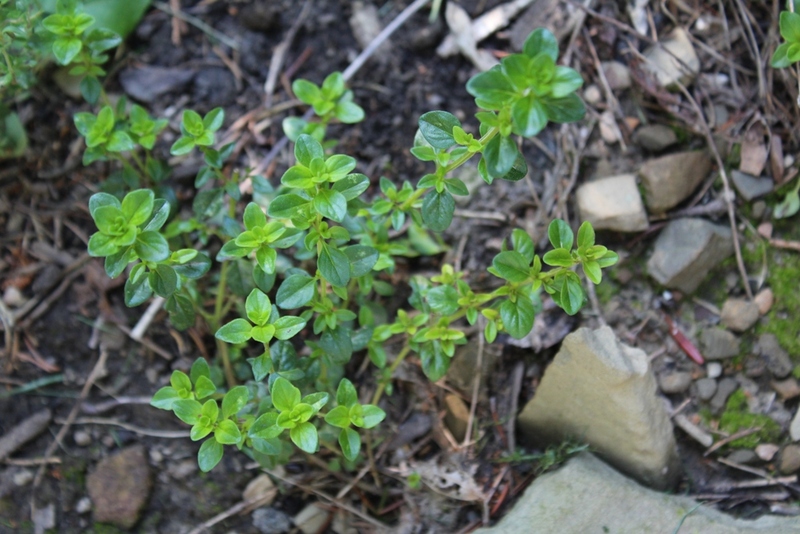 Lemon basil successfully reseeded though, as it is more tolerant of the cold than the regular basil. 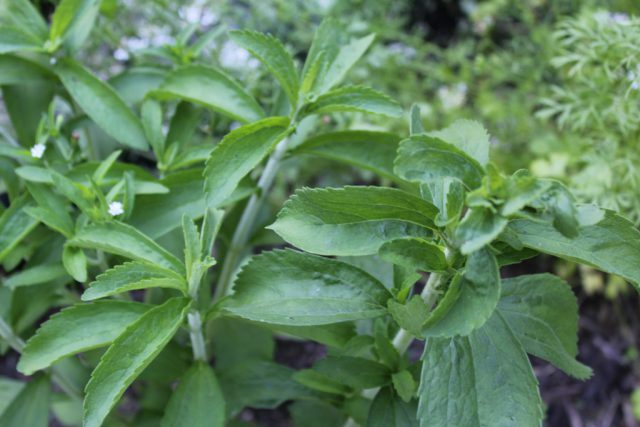 I second the Tulsi/Holy Basil suggestion and also recommend Lemon Verbena, both of which are lovely in tea.